Home » Beauty » Make Anti-Wrinkle Masks at Home! Make Anti-Wrinkle Masks at Home! Department store anti-wrinkle creams are usually costly and often contain chemicals that can cause allergies. Why not make your own effective masks at home? It’s easier than you think. With just a bit of time and dedication, you can treat your skin to the freshest ingredients on a budget. But be consistent. Good skin takes some effort, but there’s no reason that you can’t have it. After all, many of the high street treatment creams contain things that are easy to get your hands on: avocado, argan oil, cucumber and carrot, for instance. As you know, your skin is very delicate and requires a healthy diet and adequate sleep. 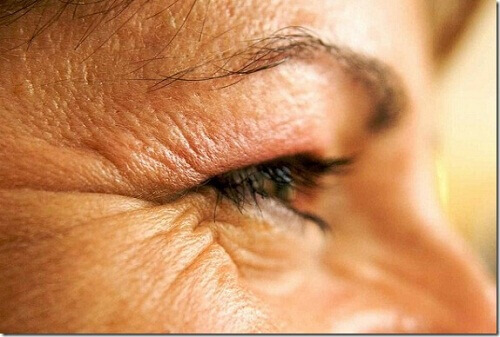 The right treatment will help you alleviate wrinkling as you age. Read further for our simple recipes for masks that you can easily whip up at home. Yes! They contain essential fats – great for treating dry skin and keeping wrinkles at bay. Avocados are packed with phytochemicals. They’re the things that ward off free radicals. Rich in folic acid and vitamin C, B6, A and E, avocados are a staple for your skin’s health and appearance. Easy! Just cut the avocado and remove the pit from its centre. You’re only going to use half of it, so you can eat the other half! Place one half of the avocado in a bowl and mash with a fork. Add the olive oil and keep mixing until you get a smooth, brightly-coloured green cream. Try to eliminate any lumps. Night time is the right time to use this mask. You can, of course, safely use it whenever you wish. However, it’s quite luxurious and would be a perfect pre-bedtime treat. Apply it with your fingers and massage gently. Patience! Let your skin absorb it bit by bit. Let it remain on your face for 20 minutes and then remove it with cool water. You won’t believe the results if you stick to this routine three times a week. The long term benefits will wow you! Thanks to their beta-carotene and antioxidant content, carrots have powerful cosmetic properties. They should be basic components in your arsenal for fighting the signs of ageing and for protecting your skin against UV rays. For major wrinkle busting, you can’t go wrong with the humble carrot. Wash and peel the carrots. Once cut into small pieces, place them in a blender or food processor and blend until you get a nice pulp. Add the juice from half a lemon and then add your natural yogurt. Blend until you have a paste that is thick enough for your mask. Massage it into your skin for twenty minutes or so. You can do this in the afternoon or at night. Remove with cool water. Enjoy this treatment up to three times a week. Be consistent, and you will soon see a gradual improvement. Your skin will be nourished, cared for and protected. Hydrates. It’s ideal for dry skin because it’s loaded with water and vitamin E. Because cucumber is so hydrating, it protects your skin from the sun and looks after your body. If your face feels tired and worn out, cuke is the perfect antidote. Relaxes. Got swollen eyes or dark circles? Cucumber will fix it for you. Having one of those days? You know the ones. You wake up feeling exhausted and your eyes are swollen like melons? Turn to this mask for immediate comfort. Cucumber and chamomile are your revitalising dynamic duo, so let this preparation sort you out on those days when the mirror tells you that you’re looking a bit rough round the edges. First, peel the cucumber and then chop it into small pieces. Now, prepare the chamomile infusion. Boil enough water to fill a cup of water, then place a few chamomile flowers in the hot water. Chill. Let the infusion cool. Once done, mix with a few pieces of cucumber. Put the ingredients in a blender and pulse until a nice, smooth paste results. Let it rest in the refrigerator for about ten minutes – long enough so that it’s cooled enough to put on your face. The mask should remain on your face for at least 20 minutes. Once you’ve rinsed with cool water, you’ll feel energised and bright. Your complexion will look clearer and more alive. When you want to feel fresher and more alert, this is your go-to remedy. Place all the ingredients in a bowl that is big enough for you to stir easily. You want to be able to blend the water and the oil well. When you’ve combined the oils and the cucumber puree so that everything is incorporated seamlessly, pour the cream into a clean jar that you’ve chosen. The cream is ready to apply immediately and can be stored in a cool, dark place for daily use. Gelatin – An Incredibly Powerful Food! When bone loses consistency and thickness, fractures and injuries may result. But did you know that you can prevent osteoporosis with lifestyle changes? Diet is an extremely important factor in slowing or preventing such deterioration.